Meerbusch/Germany, October 2013 –DREYPLAS (www.dreyplas.com) is now also pan-European distributor for US manufacturer CD Polytech’s easy-processing UHMWPE (ultra-high molecular weight polyethylene) alloys which are suitable for injection molding and extrusion. Once sufficient stocks have been built up, the distributor will very soon be able to supply customers quickly and flexibly from its European central warehouse. This means that the focus of DREYPLAS’ product portfolio, which already includes PTFE micropowders, chopped and ground carbon fibers and the high-performance polymers PEEK and polyimide, is increasingly moving towards high-performance additives and polymers. UHMWPE combines excellent mechanical properties with elevated chemical resistance. However, conventional grades are difficult to process, which greatly restricts their range of applications. 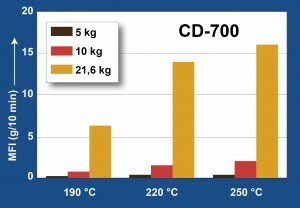 CD Polytech’s alloys, in contrast, offer very good melt processability on standard machinery, not only in injection molding and extrusion but also in compounding. These materials will find numerous new applications which could go as far as replacing certain (PTFE-)lubricated materials such as polyoxymethylene (POM) or indeed polyamide (PA, possibly also PA12). DREYPLAS’ range of UHMWPE alloys now covers grades with high, medium and low viscosity and, while maintaining other properties, UV-stabilized versions. All grades are bright white in color and have elevated abrasion resistance and uniformly high quality. Their very good dielectric properties remain largely constant over a wide range of temperatures and frequencies. 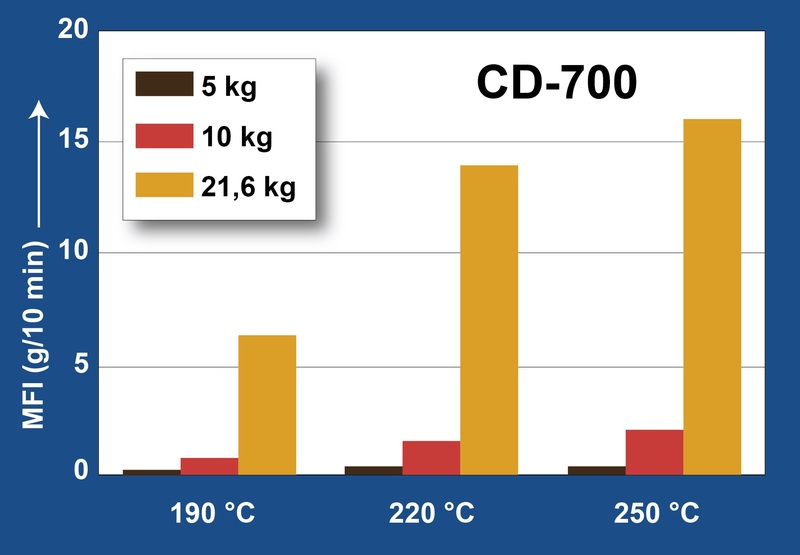 Thanks to their elevated hydrolysis resistance, good mechanical properties are maintained even after extended exposure to moisture at high pressures and temperatures. Examples of possible injection molding applications for UHMWPE alloys are rollers, gearwheels, guide rails, chain guides, screws, stirrers for the food processing, packaging and papermaking industries, parts for sporting articles such as skis, rope and footwear and corrosion-resistant parts for equipment fabrication for the chemical and the food processing industry. Typical extrusion applications include tubes, films and sheets. Fiber and monofilament applications are under development. DREYPLAS was founded in 2011 and is a committed distributor in the plastics industry. The company’s diversified portfolio comprises raw materials, additives and processing aids for plastics converters and compounders as well as for the producers of adhesives, paints and coatings, chemicals and building materials. The majority of its products are sourced from major and prominent manufacturers located in the Far East, often backed up by long-term supply agreements. Beyond the German speaking countries, the new distributor’s activities focus on Poland (through its local affiliate PLASKOBEL SP.ZO.O in Lodz) and – supported by its own network of local sales representatives – the Czech Republic, Slovakia and Hungary. Customers in other European countries are served from its Meerbusch headquarters or through local partners, depending on the specific product. CD PolyTech is specialized in the development and production of high-performance plastics such as UHMWPE alloys and polyethylene waxes. Since 1998, the company has been operating in Houston, Texas, USA.